Ethan Lieber is an assistant professor in economics at Notre Dame. 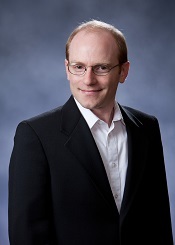 Dr. Lieber earned his Ph.D. in economics from the University of Chicago in 2013. That fall, he joined the economics department at the University of Notre Dame. His research focuses on the structure and effects of health insurance, long-term care provision, information asymmetries in health care (consumers’ lack of information on prices and quality; doctors’ information about prescription drug quality, etc. ).